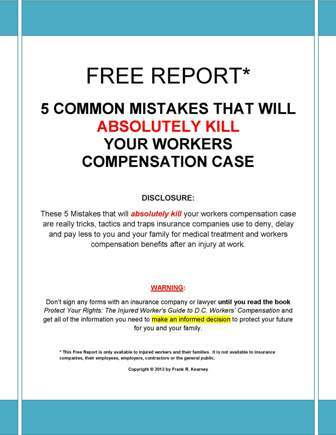 This is the story of one of our clients who was injured on the job; his experience with the D.C. workers comp system and working with us. This story is largely unedited; you are getting the raw story. Donahoe Kearney: Tell us about what you were doing before you were injured? Mr. S: I was a fairly successful cameraman. 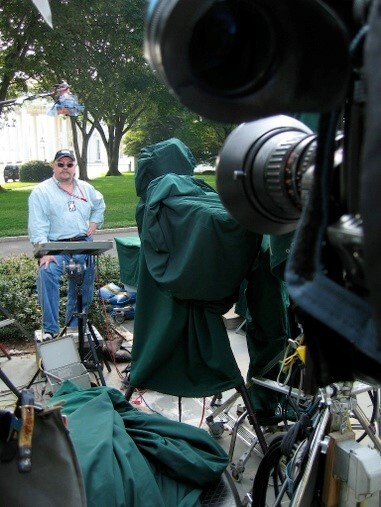 More properly, a Broadcast News Senior Photojournalist, covering the White House, Congress, the three-letter agencies, courts, and the military. When major events happened like Katrina, mine disasters, plane crashes, and political conventions, I was there. The work required a very high percentage of travel, particularly during election years or during disasters. I am especially proud of my affiliation with the Documentary Unit based in DC. I was their principal cinematographer. We did good work. Donahoe Kearney: What were the best parts? The worst parts? Mr. S: The unexpectedness of it all was marvelous. Loved it. Adventure was the best part. Dozens of times I went in to work in the morning expecting a routine deployment to the White House or the Hill, only to find myself in Louisiana buying underwear and toothpaste at 3AM. The human stories were constantly inspiring and enlightening. There was the young man blown up at war, but persevering and getting on with making a good life for himself and the people that care about him. There was the artist lovingly crafting cosmetic prostheses' for those born with deformity, or recovering from injury. I most admired the people who fought the good fight. Those who stood up for justice, freedom, and fairness. Who defied corrupt police forces, stood up to criminals, and defended and strengthened their communities and country. They are the private citizens, public advocacy groups, and on occasion, public employees who always faced toward the light, and fought for what right and good about us as a people. The worst part was the grueling and unforgiving nature of the job, of our professional culture. Every day you were pushed into the deep end of the ocean, with the predators; all too often without much if any support. There was a tremendous pressure to perform. To turn out large amounts of carefully, professionally, ethically-executed news-gathering. No room for failure, no excuses. The gear is heavy, and there’s plenty of it. The weather beats on you constantly. Heat. Sun. Rain. Wind. Ice. Snow. Factor in the fatigue from long and uncertain hours, and the pressure to always hustle. It surprises me more of us don’t get hurt, more often. Unfortunately, managers in dry, air-conditioned offices; those people tasked with providing guidance and support to those of us on the pointy end of the spear, all too often failed to understand the task, and the obstacles we faced. Again, I am surprised more of us arent injured or killed. And it does happen. Donahoe Kearney: How did you get injured? I just happened to find a bad spot that looked good. A sheet of compacted snow came unstuck from the layer of ice below, but only under one foot. My ankle shattered catastrophically. Sounded like dry spaghetti snapping before being tossed in the pot. I fell hard and took a blow to the head. 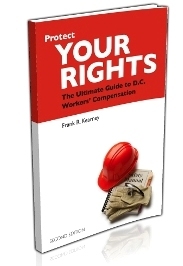 Donahoe Kearney: Tell me about your experience going through the workers’ comp system. Do you have any advice offer a person with a new claim? Mr. S: First and foremost, lawyer up. Lawyer up well. You’re hurt. Maybe medicated. Your family is under stress. The system is complex, requiring careful navigation that you are in no position to perform. It gets worse. The people who we expect to render appropriate support after a workplace injury will do their best to contain their costs without much if any concern for your well-being. I refer to our employers, their insurers and HR. A huge apparatus exists designed exclusively to diminish the amount of help and support you get. This is simply because medical help, physical therapy, transportation, and disability payments cost money. The adjustors, your human resources department, your bosses; they do not care about you, and will say the right things but ultimately work hard at shaving down the help you get when you need it most. Trust me, your employer and their insurers are all about the money, and if they could sue you for getting hurt on the job, they would. I’ve met injured workers who think they’ll just tough it out. That their employer will do the right thing automatically. Nothing could be further from the truth, and I could easily see the pain these injured workers suffered. 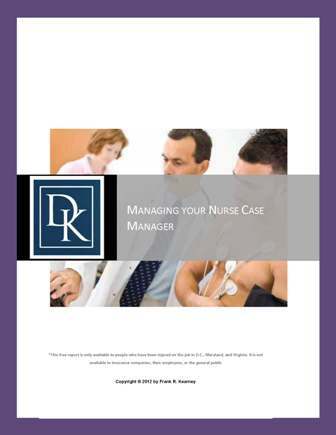 1) Assign a nurse case manager for months. My wife and I had no help at all when we needed it most. 2) Pay bills on time. I was sent to collections by the ambulance company! This happened 18 months after my ambulance ride. They didn’t have an address for me, and had been billing the insurer, who just ignored the bill. Worse yet, that same adjuster cut off my disability payments, no notice, no questions asked, and completely inappropriately. Frank fixed all these issues, and many more, promptly and efficiently. Just to be clear: he never asked for anything more than I was due. It was the insurer who repeatedly tried to hold back money and services to which I was entitled. 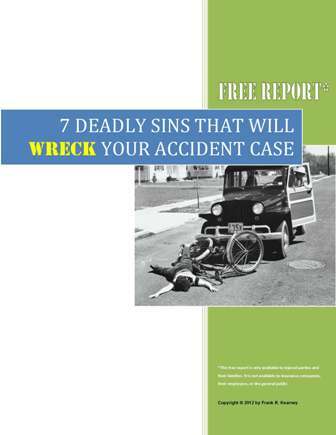 Donahoe Kearney: How is your life now different than it was before you got injured? What are some of the adaptations you have had to make? Mr. S: I will never be the same. 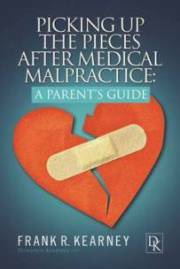 Medically, I’m a first-rate success, but that is only within the context of the severity of the injury. I will need medical support forever. I may yet have complications. I look alright walking short distances on level ground. But the world isn’t made of level ground. I am left with a disability, and am constantly adapting. My injury was a career ender. I can no longer run around, literally, with a 30-pound broadcast news camera on my shoulder. Today I work with smaller cameras and lights. I move much slower, and more deliberately; try to do less of the physical work and more of the intellectual and creative work. So I’m having to reinvent myself professionally. The settlement Frank got me is going to help me with that. Donahoe Kearney: Now that your case is settled, what are you looking forward to in the future? Mr. S: A bright new career and a good life. Even a serious workplace injury should not deprive anyone of either. Frank will work hard to make sure it doesn’t. Mr. S. has started a video, film and production company called Flying Squid LLC. You can find it here online!